Clean carpets and wood floors – Home buyers look at the floors first. 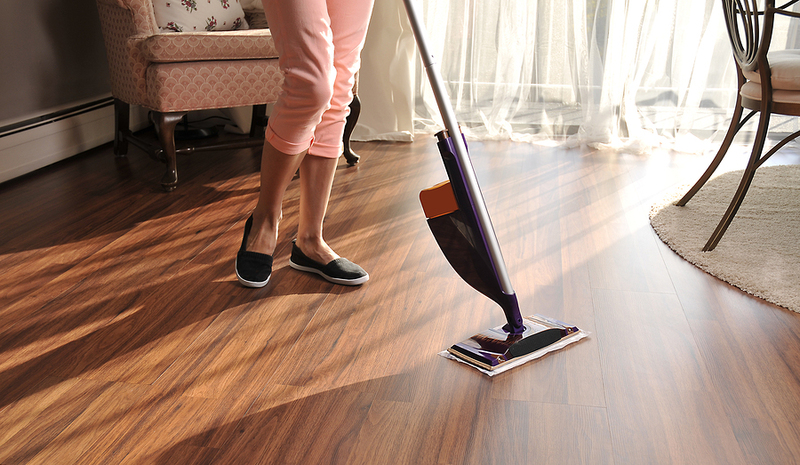 Run a mop over your wood floors just before they arrive to look, about an hour before. And steam clean the carpets. Create extra storage space in the closets – Entry closets make good first impressions. People also appreciate a little extra pantry storage in the kitchen and a place for linens that will only be used once in a while, like when guests are staying overnight. 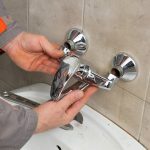 Change out door knobs and cabinet handles – This doesn’t cost much and home buyers will appreciate it, especially in the kitchen and common areas. Improve the lighting – Make your rooms lighter and larger by using warm colors and 60-watt light bulbs. Energy-efficient light bulbs can often be dimmer. Take them out just for showing then you can put them back in when the potential home buyers leave. Remove outdated wallpaper – Simply remove old wallpaper that looks dated and paint the walls. Landscape the yard – This goes beyond curb appeal. Good landscaping can actually add value to a home. Make sure you mow, remove crab grass, take out dead plants, and cut off dead tree limbs. You can also take it a step further and add some color to the landscape by planting annuals and perennials in key locations. Add power outlets with USB ports – These days, almost every electronic device uses a USB port. People need to power their MP3s, tablets, smartphones, and more. These don’t cost much, but they add tremendous value to a home, especially for young tech-savvy home buyers. Update your wiring for the Internet age – People today love flat screen TVs that connect to the Internet. Instead of running Cat-5 wiring all over the house, find an accessible location for a wireless router. Spend some time making sure your house is clean for your guests. By making it clean and presentable – it’s more likely to sell so you can move to your new home. Looking for a mover to get you to your new place? Call RJ Moving – we are a licensed, insured and bonded, professional moving company with over 15 years of experience in the moving business. Our qualified team of employees treat your belongings and homes like they’re our own.